Trained in experimental psychology at the University of London, and subsequently in psychophysics at the University of Leipzig, Germany and electrophysiology at the Max-Planck Institute for CognitiveNeuroscience, also in Leipzig, Mark is a measurement scientist with backgrounds in general psychology and cognitive science. Mark's scholarly lineage originates in the German Gestalt Schools, reflecting scientific and philosophical interests in perceptual structure, alongside the dynamics of mechanisms that bring this structure about. Mark's scientific work in this area is referenced in the internationally standard, undergraduate textbook: Gleitman, H., Gross, J., and Reisberg, D (2011) Psychology 8th Edition, WW Norton & Company, New York, NY. (p.196). Mark was employed as Senior Lecturer in Psychology at NUI Galway in 2005, coming to Ireland from an Associate Professor position at the Ludwig Maximilian University, Munich, Germany. He was appointed Full Professor at Kyushu University (2010). Kyushu University is now one of 11 Japanese international research universities and is ranked 135 in the world (2016 QS ranking - rank 32 in Asia). This appointment was based upon election by the Faculty of Design at Kyushu University and was conferred by the Representative of the Emperor of Japan. As former President of the International Society for Psychophysics, with 19-years post PhD experience in psychological measurement, Mark is well placed to apply expertise in the design and development of state-of-the-art human performance measures for business and industry clients. In this area, he co-founded the New York-based psychological profiling company Assessment Innovation Inc.
Mark has been involved in a number of research agendas: clinical research has included investigations of schizophrenia, autism-spectrum-disorder, central-auditory-processing disorder, specific-reading and language-impaired children as well as stroke-lesioned patients. Basic research has focused on examining the cognitive microstructural dynamics of visual and auditory representation using experimental methods alongside some EEG and neuroimaging. This interest has evolved into studies of the dynamics inherent in art and music, as well as investigations of microstructural dynamics in mechanisms coding art and music. Founding member of the Neurosciences Cluster and formerly Chair of the Applied Clinical Neurosciences Subgroup of the National Centre for Biomedical Engineering Sciences (2006 - 2010). In December 2012, the Neurosciences Cluster was recognised as a Centre of Excellence in Neurodegeneration by the international COEN initiative (http://www.coen.org/home.html). Mark has authored 56 publications in peer-reviewed journals and books, including 7 invited book chapters, advanced reviews, and feature articles. There are additionally, 1 edited proceedings volume and 2 edited special journal issues in addition to 31 other publications including 29 articles in indexed proceedings volumes (Hirsch's h-index = 19; Egghe's g index = 28). Publications are in journals of median (estimated) impact factor 3.04. This is 2.29 times the median impact of journals within the discipline of Psychology (2010, median = 1.33). Since 1998 Mark has delivered 85 lectures in 15 countries including major universities or scientific meetings in the UK and Ireland, USA, Russia, Japan, China, France, Germany, Brazil, Turkey, Israel, Switzerland and Italy. These include 52 invited talks at colloquia or major national and international symposia and 5 named keynote lectures. At undergraduate level Mark teaches Perception and Attention, Cognitive Neuropsychology and Cognitive Neuroscience. He has previously taught experimental methods in Psychology, elements of Biological Psychology as well as The Psychology of Aesthetics and the Arts. Curriculum development has concerned successful application for EU TEMPUS funding and then serving as European Commission advisor to Psychology departments in Serbia and Macedonia and development of psychology curricula consistent with Bologna structures. In the 7 years since inception of the awards, 2 students submitting assignments for modules run by Mark A. Elliott have won awards for the best undergraduate submission in Life Sciences and Psychology at the International Undergraduate Awards. One student submission was highly commended. Postgraduate curriculum development has involved establishment of the M.Sc. in Neuro-Cognitive Psychology at the LMU in Munich (one of the top-10 international Masters programmes in Germany). 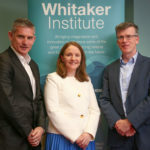 At NUI Galway, the design and directorship of structured PhDs in Perception, Cognition and Action; Social Psychological Science and Cognitive Science (the latter in collaboration with University of Limerick) and directorship of the inter-school structured PhD in Learning Sciences. (2001) Neural Binding of Space and Time: Spatial and temporal mechanisms of feature-object binding. (2009) Proceedings of the 25th Annual Meeting of the International Society for Psychophysics. (2009) DIFFICULT COMPARISON OF EVENT ONSETS INDEPENDENT OF INTER-HEMISPHERIC TRANSFER. (2009) Fechner Day, 2009, Twenty-fifth Anniversary Meeting of the International Society for Psychophysics (Galway IE, October 21st  24th 2009)  with Dr. Stanislava Antonijevic. (2009) Different Mechanisms for Illusory Figure Processing in the Central and Peripheral Visual Field. FENS Abstracts. (2008) Abu Bakar A., Liu L., Conci M., Elliott M.A., Ioannides A.A (2008): Different Mechanisms for Illusory Figure Processing in the Central and Peripheral Visual Field. FENS Abstracts, 4, (p.220). (2006) Moving objects distort neighboring positional space: centrifugal and centripetal effects of neighboring static objects. Vision: The Journal of the Vision Society of Japan. (2006) Moving objects distort neighboring positional space: centrifugal and centripetal effects of neighboring static objects. Vision: The Journal of the Vision Society of Japan, 18, (suppl.) (p. 91). (2006) The temporal and spatial structure of visual hallucinatory experience. Proceedings of the Eighth International Conference on Cognitive and Neural System. (2006) An investigation of cognitive dysmetria in developmental dyslexia. Perception, 35, (suppl.) (p.92). (2006) An investigation of cognitive dysmetria in developmental dyslexia. (2006) The temporal and spatial structure of visual hallucinatory experience. Proceedings of the Eighth International Conference on Cognitive and Neural System, Boston, U.S.A., (p.23). (2006) The temporal and spatial structure of visual hallucinatory experience. International Journal of Psychophysiology. (2006) The temporal and spatial structure of visual hallucinatory experience. International Journal of Psychophysiology, 61(3), (pp.316-317). (2006) An investigation of cognitive dysmetria in developmental dyslexia. Perception. (2005) Becker, C., Elliott, M.A. & Müller, H. J. (2005). Interdependencies in the perception of flicker induced subjective colours and shapes. In K. W. Lange, K.-H. Bäumle, M. W. Greenlee, M. Hammerl & A. Zimmer (Eds.). Experimentelle Psychologie. Beiträge zur 47. Tagung experimente arbeitender Psychologen. Lengerich: Pabst Science Publishers. (p.13). (2005) Interdependencies in the perception of flicker induced subjective colours and shapes. Experimentelle Psychologie. Beiträge zur 47. Tagung experimente arbeitender Psychologen. (2005) Theme Session Dynamic Microstructures in Brain and Cognition Tagung experimentall arbeitender Psychologen (TeaP) (Regensburg, DE, April 4th 2005). (2005) Form discrimination and temporal sensitivity in blindsight. Perception. (2005) Form discrimination and temporal sensitivity in blindsight. Perception, 34 (suppl. ), (p.143). (2004) Variations in the Visual Hallucinatory Response to Flickering Monochromatic Light. TWK 2004, Proceedings. Knirsch Verlag Kirchentellinsfurt. (2004) Variations in the Visual Hallucinatory Response to Flickering Monochromatic Light. TWK 2004, Tübingen, Germany, Proceedings. Knirsch Verlag Kirchentellinsfurt. (p. 44). (2004) Visuelle Halluzinationen in Antwort auf rhythmische Stimulation mit monochromatischem Licht. Experimentelle Psychologie. Beiträge zur 46. Tagung experimentel l arbeitender Psychologen. (2004) Temporal Dynamics and Form Discrimination in Blindsight . Proceedings of the Eighth International Conference on Cognitive and Neural System, Boston, U.S.A., (p.118). (2004) Emergent Illusory Shapes Interfere with Kanizsa-Type Target Detection. TWK 2004, Tübingen, Proceedings. Knirsch Verlag Kirchentellinsfurt. (p.129). (2004) Becker, C. & Elliott, M.A. (2004). The structure of visual hallucinatory experiences induced by flickering light. Perception, 33 (suppl. ), (p.181). (2004) The structure of visual hallucinatory experiences induced by flickering light. Perception. (2004) Shape complexity and goodness affects synchrony coding in perceptual grouping. Perception. (2004) Shape complexity and goodness affects synchrony coding in perceptual grouping. Perception, 33, (suppl.) (p.29). (2004) Becker, C., Elliott, M. A. & H. J. Müller (2004). Visuelle Halluzinationen in Antwort auf rhythmische Stimulation mit monochromatischem Licht. In: D. Kerzel, V. Franz & K. Gegenfurtner (Eds.). Experimentelle Psychologie. Beiträge zur 46. Tagung experimentel l arbeitender Psychologen. Lengerich: Pabst Science Publishers. (p. 34). (2004) Temporal Dynamics and Form Discrimination in Blindsight. Proceedings of the Eighth International Conference on Cognitive and Neural System. (2004) The effects of Benzodiazepine administration on collinearity grouping and synchrony coding in perceptual organization. Proceedings of the Eighth International Conference on Cognitive and Neural System. (2004) The effects of Benzodiazepine administration on collinearity grouping and synchrony coding in perceptual organization. Proceedings of the Eighth International Conference on Cognitive and Neural System, Boston, U.S.A., (p.69). (2004) Emergent Illusory Shapes Interfere with Kanizsa-Type Target Detection. TWK 2004, Tübingen, Proceedings. (2003) Theme Session Perspectives on the Temporal Structure of Inner psychophysics: the State of the Art (Rio de Janeiro, BR, October 24th 2002). (2002) Defizit der visuellen Integration und neuronalen Synchronisation bei Legasthenikern. Experimentelle Psychologie/Abstracts der 44. Tagung experimentell arbeitender Psychologen. (2002) Colloquium Series Allgemeine und Experimentelle Psychologie Ludwig-Maximilians Universität, and the MPI for Psychological Research, Munich DE, October 2002-July 2003 - with Prof. Dr. Hermann J. Müller, Prof. Dr. Wolfgang Prinz and Dr. Klaus Gramann). (2002) Defizit der visuellen Integration und neuronalen Synchronisation bei Legasthenikern. Experimentelle Psychologie/Abstracts der 44. Tagung experimentell arbeitender Psychologen. (p.81). (2001) Evidence for impaired integration-segmentation processes and effects of oscillatory synchrony on stimulus coding in dyslexics. erception, 30 (suppl. ), (p. 61). (2001) Evidence for impaired integration-segmentation processes and effects of oscillatory synchrony on stimulus coding in dyslexics. Perception. (2000) Einfluss der Benzodiazepine Diazepam und Lorazepam auf die Detektion einer Kanizsa-Figur in einer 40 Hz Flicker-Aufgabe. Experimentelle Psychologie/42. Tagung experimentel & arbeitender Psychologen. (p.224). (2000) Einfluss der Benzodiazepine Diazepam und Lorazepam auf die Detektion einer Kanizsa-Figur in einer 40 Hz Flicker-Aufgabe. Experimentelle Psychologie/42. Tagung experimentel & arbeitender Psychologen. Lengerich. (2009) Little evidence for impaired event-structure coding in language impaired children. In M.A. Elliott, S. Antonijevi_, S. Berthaud, P. Mulcahy, B. Bargary, C. Martyn, & H. Schmidt. (Eds.). Fechner Day 2009. Proceedings of the 25th Annual Meeting of the International Society for Psychophysics, Galway, Ireland: The International Society for Psychophysics, (pp. 539-544). (2009) Noise exclusion in visual and auditory modalities in children with language disorder. Fechner Day 2009. Proceedings of the 25th Annual Meeting of the International Society for Psychophysics. (2007) Visual perception in a snapshot. (2010) Faculty of Engineering, Fukuoka (JP) Inner Psychophysics: Perception, Dynamics and Brain. (2010) RIKEN Brain Sciences Institute, Wako Shi, Tokyo, (JP) Inner Psychophysics: Perception, Dynamics and Brain  invited lecture. (2006) The temporal and spatial structure of visual hallucinatory experience. (2006) Visual Processing in Microgenesis: Feedforward or Reentrant?. Psychological Research, 71(6) (special issue). (2006) Visual Processing in Microgenesis: Feedforward or Reentrant? . Psychological Research, (special issue). (2001) Neural Binding of Space and Time: Spatial and temporal mechanisms of feature-object binding. Visual Cognition, 8 (special issue). (2003) Fechner colors are induced by flickering monochromatic light. (2010) Electrophysiological correlates of flicker-induced form hallucinations. In Bastianelli, A., & Vidotto, G., (Eds.) Fechner Day 2010. Proceedings of the 26th Annual Meeting of the International Society for Psychophysics, Padova, Italy: The International Society for Psychophysics. (2010) COST Action TD904 Meeting, A Moment to reflect on Perceptual Synchrony . (2010) Auditory Research Meeting of the Acoustical Society of Japan, Yanagawa (JP) Process Timing and its Relation to the Perception of Tonal Harmony  keynote lecture. (2010) Padova (IT) 26th Annual meeting of the International Society for Psychophysics: Time in Mental Activity, Session Chair. (2010) Institut für Allgemeine u. Experimentelle Psychologie I, Ludwig-Maximilians Universität, München (DE). Event Timing and Experience in Normal and Special Populations  invited lecture. (2010) Inner Psychophysics: Perception, Dynamics and Brain  invited lecture. (2010) Faculty of Design, Fukuoka (JP) Inner Psychophysics: Perception, Dynamics and Brain  invited lecture. (2010) Space and the Matrix of Visual Experience, invited lecture. INTERCHANGES Symposium Craft & Context. (2010) Padova (IT) 26th Annual meeting of the International Society for Psychophysics: Temporal structure and inner psychophysics: A glimpse of equilibrium?. (2010) INTERCHANGES Symposium Craft & Context, National College of Art & Design, Dublin (IE), Space and the Matrix of Visual Experience, invited lecture. (2010) Event Timing and Experience in Normal and Special Populations  invited lecture. (2010) Temporal structure and inner psychophysics: A glimpse of equilibrium? . In Bastianelli, A., & Vidotto, G., (Eds. )Fechner Day 2010. Proceedings of the 26th Annual Meeting of the International Society for Psychophysics, Padova, Italy: The International Society for Psychophysics. (2009) Investigating the perception of simultaneity in psychosis: a comparison of first_episode psychosis and treatment_resistant schizophrenia patients with healthy controls. In M.A. Elliott, S. Antonijevi_, S. Berthaud, P. Mulcahy, B. Bargary, C. Martyn, & H. Schmidt. (Eds.). Fechner Day 2009. Proceedings of the 25th Annual Meeting of the International Society for Psychophysics, Galway, Ireland: The International Society for Psychophysics, (pp. 209-214). (2009) Temporal structure and inner psychophysics: glimpsing equilibrium, invited lecture. (2009) Rhythm Perception and Production Workshop: 12th Edition Distorted Time and Motor Control: Defining Perceptual Synchrony. (2009) Distorted Time and Motor Control: Defining Perceptual Synchrony. Rhythm Perception and Production Workshop: 12th Edition. (2009) Fechner Day 2009. Proceedings of the 25th Annual Meeting of the International Society for Psychophysics, Galway, Ireland: The International Society for Psychophysics. (2009) The Visual Hallucinatory Response to Flickering Monochromatic Light, invited lecture. (2009) Consciousness and its Measures. Session Chair. (2009) Aspects of Vision Conference: Visions on visions: empirical models of the internal structure of visual experience. Keynote Lecture. (2009) Twenty-fifth Anniversary Meeting of the International Society for Psychophysics (Galway IE, October 21st  24th 2009)  with Dr. Stanislava Antonijevic. (2009) Extended Visual Simultaneity Thresholds in Psychosis - Data and Implications, invited lecture . (2008) Aspects of Vision Conference: Visions on visions: empirical models of the internal structure of visual experience. Keynote Lecture. (2008) The emergence of subjective colour and form from flickering polychromatic light. (2008) Comparing temporal event-coding in patients with first-episode psychosis and chronic schizophrenia. In B. A. Schneider and B. M. Ben-David, S. Parker and W. Wong (Eds.). Fechner Day 2008. Proceedings of the 24th Annual Meeting of the International Society of Psychophysics. Toronto, Toronto University Press, (pp. 106-110). (2008) Simultaneity thresholds in healthy controls and extended visual simultaneity thresholds in patients with schizophrenia. (2007) Applied Optics Group, National University of Ireland, Galway (IE): Restoring function in the visual blind field. (2007) Dipartimento di Psicologia Generale, Università di Padova (IT): Event structure coding and psychological time with a focus on disorders of functional connectivity: Current perspectives and novel approaches. (2007) Defining Perceptual Synchrony. In S. Mori, T. Miyoka, & W. Wong (Eds.). Fechner Day 2007. Proceedings of the 23rd Annual Meeting of the International Society of Psychophysics. Tokyo, Japan: Kijima Printing Inc., (pp. 103-106). (2007) Linking high-frequency brain activity with perception. (2007) Oscillatory priming, perceptual binding and form complexity. (2007) Event structure coding and psychological time with a focus on disorders of functional connectivity: Current perspectives and novel approaches. (2007) 23rd Annual meeting of the International Society for Psychophysics: Defining perceptual synchrony. (2007) Restoring function in the visual blind field. (2007) The emergence of subjective colour and form from flickering polychromatic light. (2007) Annual meeting of the Psychological Society of Ireland: Oscillatory priming and form complexity: an EEG study. (2006) 10th International Conference on Cognitive and Neural Systems: Flicker-induced color and form: Interdependencies and relation to stimulation frequency and phase. (2006) The effects of subthreshold synchrony on the perception of simultaneity. In D.E. Kornbrot, R.M. Msetfi, & A.W. McRae (Eds.). Fechner Day 2006. Proceedings of the 2nd Annual Meeting of the International Society of Psychophysics. St. Albans, England: University of Hertfordshire Press, (pp. 113-118). (2006) 26th World Congress of the International Organization of Psychophysiology: The temporal and spatial structure of visual hallucinatory experience. (2006) Measures of cognitive dysmetria in developmental dyslexia. In D.E. Kornbrot, R.M. Msetfi, & A.W. McRae (Eds.). Fechner Day 2006. Proceedings of the 2nd Annual Meeting of the International Society of Psychophysics.St. Albans, England: University of Hertfordshire Press, (pp. 287-292). (2006) 22nd Annual meeting of the International Society for Psychophysics: The effect of subthreshold synchrony on the perception of simultaneity. (2005) Theme Session Dynamic Microstructures in Brain and Cognition Tagung experimentall arbeitender Psychologen (TeaP) (Regensburg, DE. (2005) Tagung experimentell arbeitender Psychologie (TeaP): Oscillatory Priming and Form Complexity. (2005) The emergence of subjective colour and form from flickering polychromatic light. (2004) Unité INSERM U405, Département de Psychiatrie, Hôpitaux Universitaires de Strasbourg, Strasbourg, (FR): Variations in the visual hallucinatory response to flickering polychromatic light. (2004) Temporal structure and inner psychophysics: A glimpse of equilibrium?. (2004) 20th Annual meeting of the International Society for Psychophysics: Variations in the visual hallucinatory response to flickering polychromatic light. (2004) 8th International Conference on Cognitive and Neural Systems: The effects of benzodiazepine administration on collinearity grouping and synchrony coding in perceptual organization. (2004) Forschungskolloquium, MPI for Biological Cybernetics, Tübingen (DE): Variations in the visual hallucinatory response to flickering polychromatic light. (2004) Symposium Visual Processing in Microgenesis: Feedforward or Reentrant. Temporal structure and inner psychophysics: A glimpse of equilibrium?. (2004) Some effects of negative delays upon the perception of causal relatedness. in A. M. Oliveira, M. Teixeira, G. F. Borges & M. J. Ferro. (Eds.). Fechner Day 2004. Proceedings of the Twentieth Annual Meeting of the International Society of Psychophysics. Coimbra, Portugal. The International Society for Psychophysics, (pp. 356-361). (2004) Variations in the visual hallucinatory response to flickering polychromatic light. (2004) May 26th 2004. Institut für Psychologie, Universität Salzburg, Salzburg, (AT): Temporal structure and inner psychophysics: A glimpse of equilibrium?. (2004) May 21st 2004. Boston University (US), 8th International Conference on Cognitive and Neural Systems: The effects of benzodiazepine administration on collinearity grouping and synchrony coding in perceptual organization. (2004) April 19th 2004. Unité INSERM U405, Département de Psychiatrie, Hôpitaux Universitaires de Strasbourg, Strasbourg, (FR): Variations in the visual hallucinatory response to flickering polychromatic light. (2003) July 23rd 2003. MRC Cognition and Brain Unit, Cambridge (UK): Stimulus Timing and Synchronization: Investigating Within a Single Task. (2003) Stimulus Timing and Synchronization: Investigating Within a Single Task. (2002) Unité INSERM U405, Département de Psychiatrie, Hôpitaux : Stimulus Timing and Synchronization: Investigating within a Single Task. (2002) 18th Annual meeting of the International Society for Psychophysics. Perspectives on the temporal structure of inner psychophysics: the state of the art. .
(2002) October 24th 2002. Copacabana, Rio de Janeiro (BR): 18th Annual meeting of the International Society for Psychophysics. Perspectives on the temporal structure of inner psychophysics: the state of the art. .
(2002) March 12th 2002. Unité INSERM U405, Département de Psychiatrie, Hôpitaux Universitaires de Strasbourg, Strasbourg, (FR): Stimulus Timing and Synchronization: Investigating within a Single Task. (2002) Colloquium Series Allgemeine und Experimentelle Psychologie, and the MPI for Psychological Research, Munich DE, with Prof. Dr. Hermann J. Müller, Prof. Dr. Wolfgang Prinz and Dr. Klaus Gramann). (2002) Theme Session Perspectives on the Temporal Structure of Inner psychophysics: the State of the Art (Rio de Janeiro, BR. (2001) The Processes of Object Priming. (2001) August 27th 2001. International Conference on Cognitive Science, Beijing, (CN): Qualitative, Quantitative and Structural Effects of Synchronized Stimulus Presentation. (2001) October 26th 2001. University of Trieste Symposium on Perception and Action, Trieste, (IT): The Processes of Object Priming. (2001) Qualitative, Quantitative and Structural Effects of Synchronized Stimulus Presentation. (2001) November 21st 2001. Forschungskolloquium, MPI for Psychological Research, Munich (DE): Stimulus Timing and Synchronization: Investigating Within a Single Task. (2001) Stimulus Timing and Synchronization: Investigating Within a Single Task. (2000) March 2000. MPI of Cognitive Neuroscience: Leipzig (DE): Symposium on the Neural Binding of Space and Time: Temporal frequencies in perception. (2000) The temporal characteristics of visual persistence. In E. Schröger, A. Mecklinger, & A.D. Friederici (Eds.). Working on Working Memory: Proceedings of the 1st Workshop of the DFG Study Group on Working Memory. Leipzig: Leipziger Universitätsverlag (pp. 25-40). (2000) The temporal characteristics of visual persistence. Working on Working Memory. Proceedings of the 1st Workshop of the DFG Study Group on Working Memory. Leipzig: Leipziger Universitätsverlag. (2000) Symposium on the Neural Binding of Space and Time: Temporal frequencies in perception.